We just covered shape morphing in SVG, where shapes change from one to another. Let's look at shapes that blob into each other! You know, that gooey squishy blobby effect like droplets of mercury on a surface. 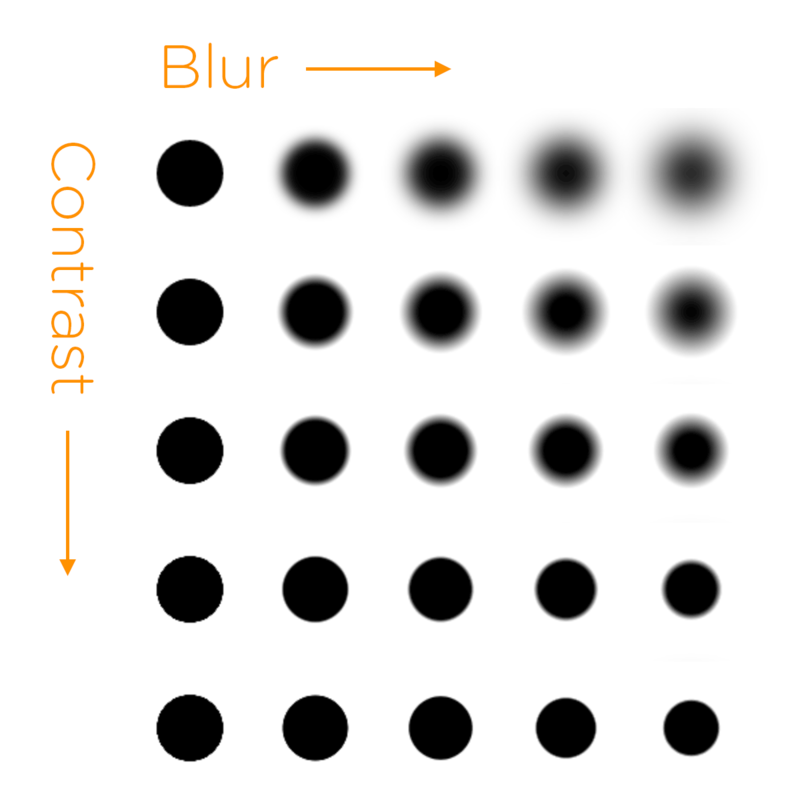 The blur obvious makes the element blurry, the contrast fights against the blur, preferring stark changes in color. If you contrast enough, you're left with a (fairly) sharp looking shape again. 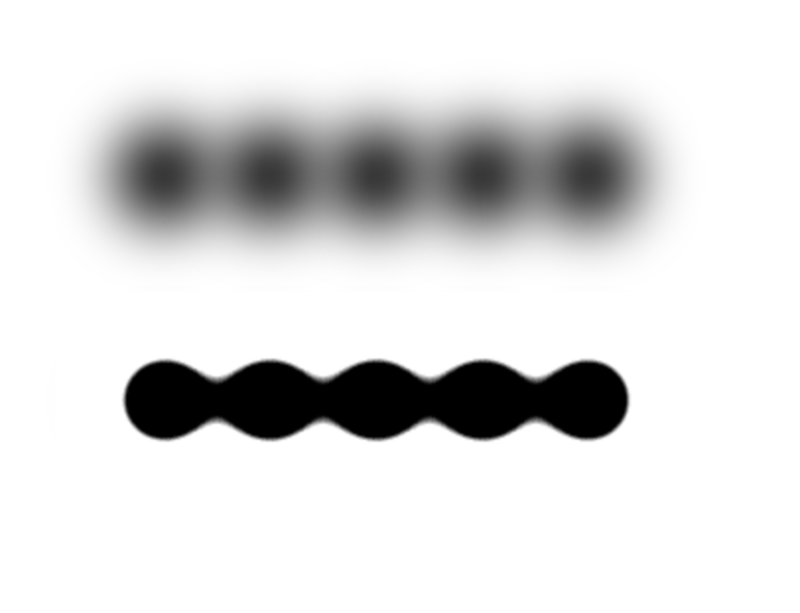 The fancy parts comes from the fact that when two blurred (yet forced to look non-blurry) elements come near each other, their would-be blurs create enough would-be color contrast that the shapes actually appear to connect. Not just WebKit/Blink anymore! Firefox 35 will be supporting filters without any flag or anything. Aurora, their beta-beta, is in v35 right now and I popped it open in that and it works great. So... current Chrome / Safari / Opera / Firefox / iOS / Android. Not bad. Just no IE. It's not practical!!! Go to bed. It makes my fan spin like crazy!!! Yeah my demo with tons of elements interacting makes my CPU pretty busy as well. The more chill demos with just two circles bumping into each other are fine though. Use decision making skills. There are better ways to do this!!! Awesome. This demo makes me so happy I giggled like a schoolgirl!!!!! Thought I would throw a positive exclamation in there. Well put Chris. :) Feel like a lot of people need to realize how much of web development is this step, you don’t get very far without flexing those decision making muscles. Whoah… Try highlighting the blur. The demo is pretty cool to play around with. You can get nice color effects with experimenting on different background-colors on the blur, wrap-background and elements. Guess will take a bit longer than Firefox final (12 weeks?) as IE seems just started but maybe early next year? Neat! You could also use a background image instead of a color for some interesting effects. That is really clever, now just need to find a real world use! So easy and so smart. I like it…..a lot !!! It’s just a lil’ boggling that I was looking at this technique in After Effects a few weeks ago — and here it is with CSS. Excellllllent.